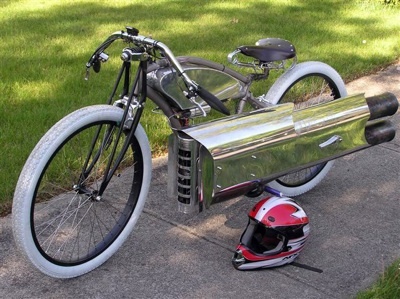 Pulse Jet powered bicycle inventor was interviewed today on KUOW. Talk about a Commuter Challenge – this guy could blast past you on his way to work. Also noticed on Wired. Dig that it’s retro style with the Brooks Saddle.